"When I first saw it I was sure it was not from Roman Moesia, but rather from Pannonia or Dalmatia. As it was discovered in Croatia, that hones it down to a style very specific for this region. It is well preserved - both enamel and pin. 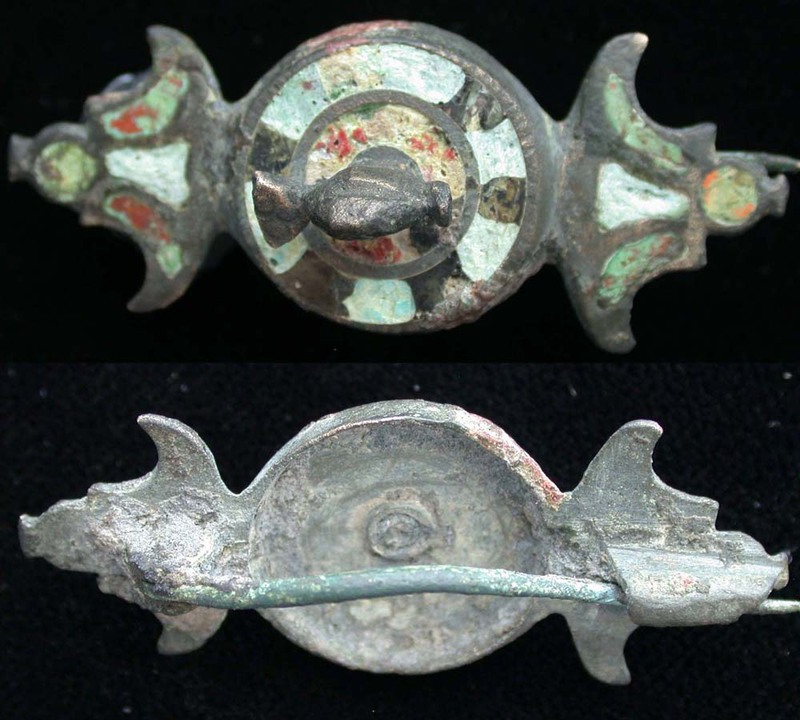 This brooch is dated to 2nd early 3rd Cent. AD. 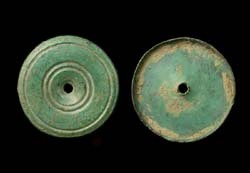 Usually most of these brooches are considered to be earlier - late 1st to early 2nd Cent AD. The geometric ones are dated slightly later. This one is a combination of both - being geometric in the middle and having two attachments on both sides representing tusks of a wild boar. Very rare in this condition." Superb example of this type brooch with no missing pieces in the mosaic. Pin intact, but not functionable. Not seen in the photos is the bird-shaped finial. We're offering this extraordinary brooch to you for a bargain low price.